We adore Kristin Chenoweth, and were thrilled to have the opportunity to create a custom guitar strap for her! She has just starting playing, so we hope to see her using her strap soon! 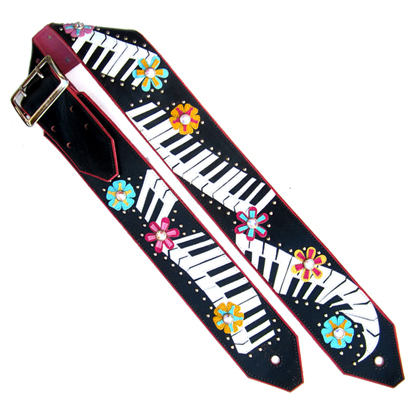 Her strap was created with piano keys and flowers cut from kidskin, and embellished with Swarovski Crystals.